Very sad news about a science fiction icon. 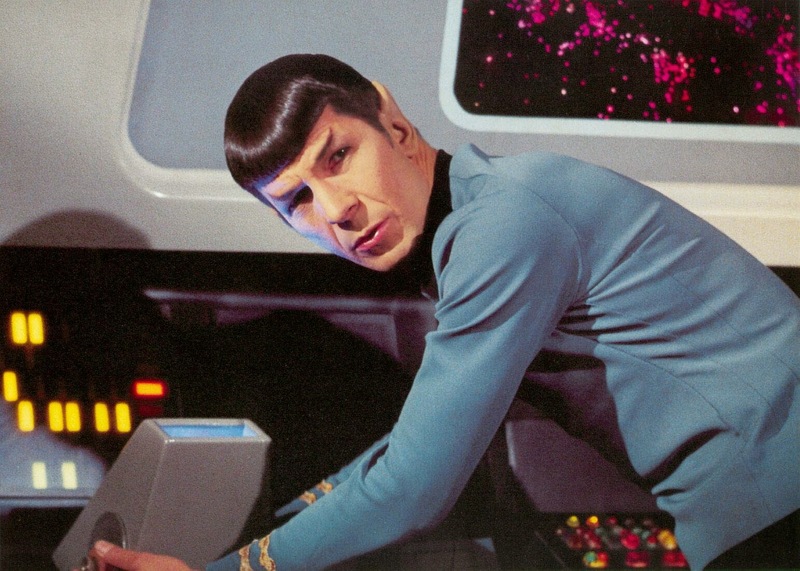 Leonard Nimoy -- aka Mr. Spock -- has just passed away, apparently due to his COPD caused by decades of smoking. That just leaves Kirk, Uhura, Chekov, and Sulu from the usual crew on the bridge. He had numerous other roles too, and he was good in all of them. 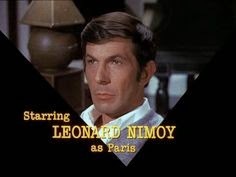 I particularly enjoyed him when he took over for Martin Landau as Paris, resident master of disguise for the Impossible Missions team. 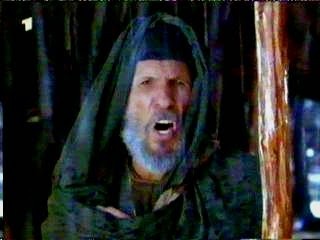 He also made a formidable Samuel the Prophet in the Bible film David. 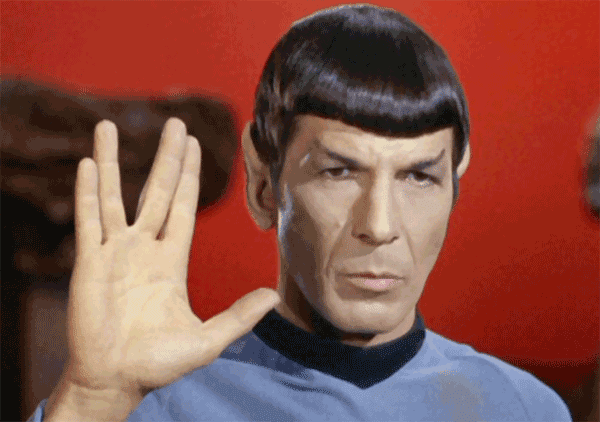 Speaking of Jewish history, I once heard Mr. Nimoy tell (on TV) where he got the famous split-fingers gesture to go with his equally famous pronouncement, "Live long and prosper" (or just, as sci-fi geeks like me know, LLAP). As a youngster in synagogue he got curious about what the rabbi did while the congregation bowed their heads to receive theHigh Priestly Benediction from him. So he peaked. As it turned out the rabbi was making the split-fingers with both hands. It's meant to resemble the Hebrew letter shin, the first letter in the Jewish word for "the Almighty." When he had to come up with a gesture for what amounts to a Vulcan benediction, the split-fingers just came naturally, he said. Spock (and Nimoy) have totally embedded themselves in our collective consciousness, with his "LLAP" and "Highly illogical, Captain" and the ears and ambiance of the Enterprise's First Officer. I knew he was in his 80's but somehow it doesn't feel real that he's dead. I had this same feeling when Neil Armstrong died -- which, I guess, shows how my brain's filing system works. Two space explorers, one pretend, one true. A celebrity tweeted today that "Nimoy was supposed to outlive us all." I agree. "Of my friend, I can only say this... of all the souls I have encountered in my travels, his was the most... Human."